In such a time so close to Valentine’s Day, I find it nice to just sit back and watch a good romantic movie about someone who looks like me. Someone who doesn’t fit traditional Hollywood beauty standards. Someone who’s sometimes frustrated with love. Someone who isn’t very romantic, or charming. Someone who doesn’t sweep a girl off her feet. Someone who feels real. 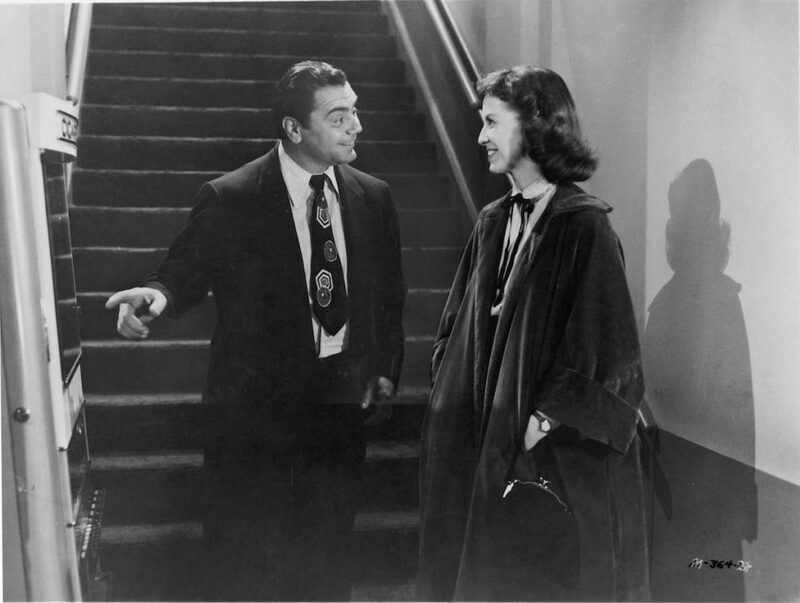 For a good, pleasant experience, I turn to Marty, a 1955 film written by Paddy Chayefsky (of Network fame), starring Ernest Borgnine and Betsy Blair; and the proud winner of not just the Academy Award for Best Picture but the Palme d’Or. 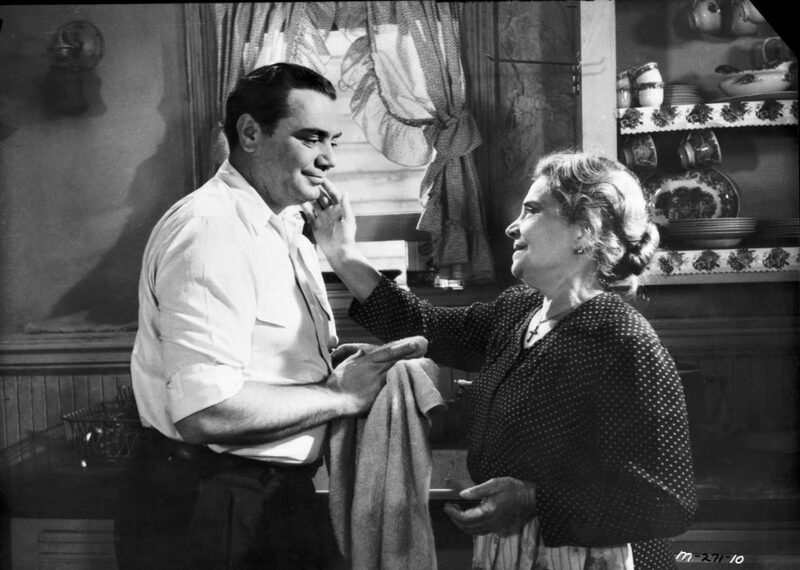 Borgnine stars as Marty, an Italian butcher, and the last his siblings left unmarried. He’s still living that lonely single life – going to bars, hooking up with girls, spending Saturday nights having dinner with his mother. Wait, that doesn’t seem so bad, does it? Maybe not for a man in his 20s, but Chayefsky’s Marty views marriage as a rite of passage, an important and necessary step in adulthood. It’s a rather conservative stance, perhaps a little out of step with current sensibilities. I know quite a few young men and women who would balk at the suggestion that they have to get married, or that staying single for their whole life is something to be shameful of. Honestly, I’m one of them. Why should I be judged on the basis of whether I choose to marry? Why should that be society’s expectation of me? Still, Marty may be conservative, but it’s not regressive, and it’s very much worth seeing, not just because it’s a great movie, which it is, but because it’s a truly meaningful one. That’s one of the most beautiful things I have in my life — the way my father and mother were. And my father was a real ugly man. So it doesn’t matter if you look like a gorilla. You see, dogs like us, we ain’t such dogs as we think we are. Marty opens with our protagonist, the title character, at the butcher shop where he works. His brother has just gotten married. It was a lovely affair, as he tells his customers. They berate him. Why isn’t he married yet? He should be ashamed of himself. We’re introduced to this idea of marriage as being something honorable, and being single well into your 30s as something shameful. Him being unmarried at this point in life is, at best, concerning, at worst, a scandal. It’s easy to misinterpret Marty as embracing this attitude. But, the film is smarter than that. Paddy Chayefsky’s script doesn’t wholeheartedly embrace this idea, nor does it completely reject it. Finding someone who loves you, getting married, these are important developments in a person’s life, in reaching adulthood. But, according to this film, that’s not a good enough reason to chase after love. Ultimately, people find happiness not by blindly following a societal expectation of what they’re supposed to do, but by pursuing what, and more importantly who makes you happy. The film draws a stark distinction between pleasure and happiness. Marty has pleasures – he drinks, he goes out with friends, he has a few opportunities to hook up with random girls. But, he sees his siblings getting married, and looks around to see a life that provides him no real, deep emotional fulfillment. He’s lonely. He’s dejected. He’s sad, and he feels like a loser. Marty is more than just about some ugly guy who finds love, it’s about someone who seems like, in every conceivable way, the opposite of a textbook Hollywood romantic hero, finding some small glimpse of true happiness. Borgnine isn’t so much ugly as he is Hollywood’s version of ugly – he’s short and stocky, a little fat. Honesty, he doesn’t look that bad. It isn’t physical appearance that distinguishes Marty from his peers in the genre. A lot of it is personality. He’s socially awkward, overly sensitive, by his own admission a big crier. He’s struggled with depression, even contemplating suicide. He talks a lot, rambling about himself. This isn’t just someone who would ‘t be able to get the girl in Hollywood fantasyland, he’s someone that I could see struggling with dating in real life.A lot of his appeal, though, comes from authenticity. 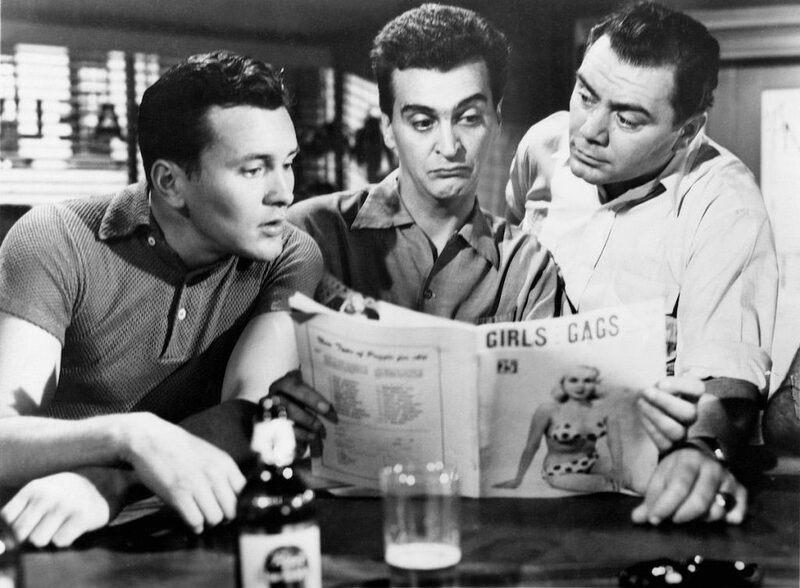 Borgnine has a difficult task in this role – he has a lot to balance. Marty, while good-natured, has been made bitter by being constantly rejected. It’s easy to cross the line from being reasonably dejected to being the 1950s equivalent of an incel. Borgnine is at his best when this balance is the most apparent. Marty always feels kind of bitter, but he’s learned to take it in a bit more of a stride. Borgnine’s default expression is this semi-jovial, happy persona, even when discussing uncomfortable topics – specifically his feelings of rejection and loneliness, and his fractured self-image. This acts a nice counterbalance to his more “serious” moments – serious not because what he’s discussing is more serious, but because Marty as a character is taking his own issues more seriously – be in out of frustration or in a moment of deep introspection. There’s a scene early on that particularly strikes me: his mother insists that Marty go dancing to meet a girl. Initially, he laughs it off, but slowly, subtly, Borgnine’s tone of voice and body language change. We, as an audience, can anticipate the blow up that is to come and are therefore unsurprised when, rather quickly, he yells in frustration. He’ll go. He’ll give in. But he wants his mother to know that it’s just hurting him more. If this was how Marty acted for most of the movie, it wouldn’t have the same effect. But, because it serves in contrast to how Borgnine generally plays this character, it stands out. So, Marty goes to the dance. And here, we meet our female lead, Clara Snyder, played by Betsy Blair. She’s a real dog, or so the movie says. I think she’s pretty, but what do I know? Clara, like Marty, has similar issues with her self worth. A school teacher, she very rarely gets a night out and is absolutely crushed by her date’s callous rejection. With Marty, the audience only gets to hear about how women treat him and see how he reacts to it. But we get to actually see first hand how cruel men are to Clara. Her date complains to his friend that he has to go out with some dog, and then offers to pay anyone to take her home so he wouldn’t have to do it himself. This is a clear offense against what the movie considers to be honorable behavior, and while it definitely comes off as scheezy now, I’m sure it struck a real chord back in the 1950s. I could imagine some viewers seeing through this as a shameless manipulation. Maybe it is, but it worked for me. 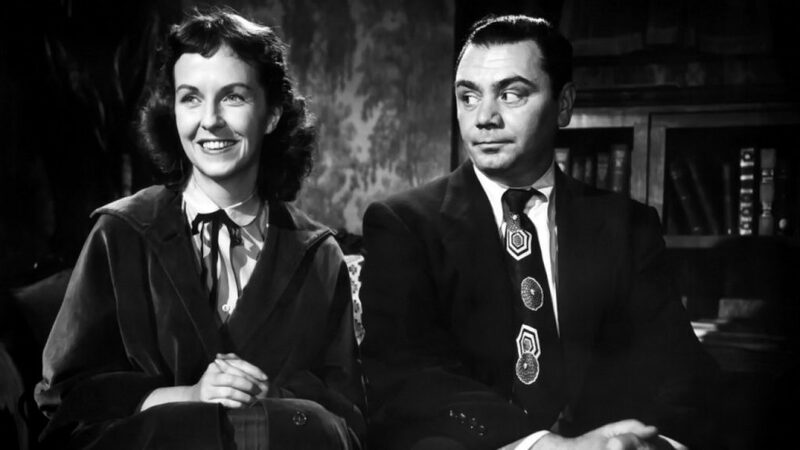 Betsy Blair gives, in contrast to Ernest Borgnine, a far quieter performance. She doesn’t give many impassioned speeches – when she does come close to it, she’s soft-spoken and mostly gentle. She’s far more of a listener, while Marty is more of a talker. That doesn’t mean that Blair doesn’t stand out in her own way, and I would definitely not call her performance dispassionate. It’s just a different kind of energy – she’s not bitter like Marty, which makes sense because she’s younger than him. When Marty is in pain, he seems to have cycle through lashing out in frustration and expressing a very deep, deep sorrow. Clara is certainly upset when she’s rejected and has her moments of expressing grief or bigger emotions, but Blair expresses optimism that contrasts with and compliments Marty’s pessimism. Blair’s performance particularly stands out in one scene later on in the film. She’s at Marty’s house and they’re talking – it’s a scene where we see Marty’s bitterness, which is represented both visually and through the acting. She has said no to a kiss and Marty, fearing that even this girl is rejecting him, is disappointed. He feels like as though, even now, he will be left alone, doomed to be unmarried. He’s sitting away from the light, with the far left side of his face shrouded in darkness, while Clara is seated towards the light, and we can see the entirety of her face. More striking about this scene, however, is the vulnerability we see from both characters, and how they differ. Borgnine demonstrates Marty’s’ defeatism – he says, “I’m old enough, I should have known better.” He shows a certain kind of vulnerability, but Blair’s is different. She’s not just comforting Marty, she’s conveying information about her own character. Cara is shy and inexperienced – in her words she doesn’t “know how to handle the situation”. She goes on to tell Marty that she believes is one of the kindest people she’s ever met, and she wants to see him again. I admire how Blair conveys a lot of information in this very short section. She begins nervous and unsure of her when she’s explaining why she didn’t want Marty to kiss her, characterizing her inexperience but also displaying that even she doesn’t seem quite so sure why she said no. She is more definitive, a lot less nervous, however, in telling him that she likes him and want to continue seeing him. There’s more confidence there – she’s sure of this. Blair may not have as many opportunities to do so, but her performance does shine through. She conveys a lot of information about a character I, more than anything, just want to see happy. Clara is innocent, sweet, and a little naive, and very trusting in the face of kindness. When she’s stood up by her date, I know immediately what’s about to follow, that she and our main character are bound to meet. And, I’m looking forward to it, at the very least to witness this special moment. And so, these characters meet. They dance. They go out to grab a bite to eat. They have a lovely night. And, that’s it. That’s the movie. That’s what most of this is – one lovely night between two people who could really use some happiness. It’s pretty simple. While they’re on this date, we cut back to a B-story featuring Marty’s mother, Theresa. Her sister, Catherine, got in a fight with her daughter-in-law, and because of this, she’s moving out of her son’s apartment and into Theresa and Marty’s home. Through this, Theresa quickly realizes that her son getting married would inevitably mean that she’s all alone, abandoned by the children she raised. It complicates the film’s narrative, and shows how those around us can have their own motivations for tearing us down, and also the cost of maturity. But, for the film, this is the natural course of life. You’re young. You get married. You have kids. They move on with their lives. You’re alone. That’s not necessarily a form of pessimism; in its own way, Marty is rather optimistic. Nothing lasts forever: not the pleasures of being young and single, nor spending your life with a person who loves you. If you find someone who makes you feel special though, who makes your life worth living – well, that’s a beautiful thing. That’s something worth preserving. It’s honest, and it deserves some credit for that, at least. And, for certain, what Marty and Clara share is beautiful. Borgnine and Blair have great, natural chemistry. Sure, Borgnine on his own can sell a scene, but that wouldn’t mean much if he didn’t work well with his co-star. But, he does. I want them to be together, to find happiness with each other. They’re a good couple. But, ultimately, this isn’t their movie, it’s his movie – Marty’s movie. Clara may have a significant part of it, but it’s not really about her. Marty is the one who has a personal revelation and who grows throughout the course of the film, not Clara. He’s the one who changes. I could see that bothering a few people. I’m sure many, many women find Clara empowering or relate to her very, very deeply, but that isn’t the movie’s primary concern. This isn’t tackling at the core of romance or marriage or how these institutions can be used to really harm people. Maybe that’ll disappoint some of my readership, but it’s usually safe to just lower your expectations of how up to your progressive standards a 1950s movie will reasonably be. Marty begins the movie dejected. He tells his mother “I’ve already been hurt too much. I don’t want to be hurt no more.” He has made peace, to a certain extent, with the idea that he will never be a husband, never be a father. By the end, Marty is swept by two opposing forces: the love of a woman he had a very lovely night with, and his friends and family who, once concerned he would never marry, now want to keep him single and lonely for their own purposes. His choice, therefore, is to succumb to this new pressure or move forward with his life, into happiness, maturity, and adulthood. Marty is not a perfect movie. But, it is a reminder that people deserve happiness. Yes, happiness should come from somewhere within, but there is something so reaffirming to find someone else who cares about you. If nothing else, Marty is a thoroughly pleasant watch. 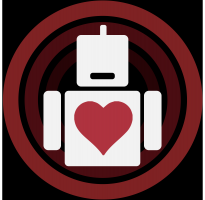 A reminder that though you may be spending this Valentine’s Day alone there is some cause for optimism out there even for the most unloved.